Home page of Crystal Clear Reflections Tarot Divination. 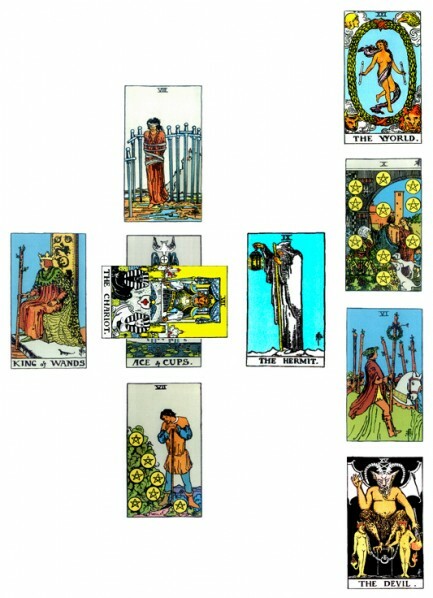 Here you can begin your journey into the Metaphysical Study of the Tarot Cards. We have provided you with everything you will need to get started. You can view the “Card Spreads” to select various card lay-out styles you might want to try. My personal favorite is the “Celtic” spread. Once you have selected a card lay-out, you can view the card divination for any card in the Tarot Deck (both upright and reversed meanings). Each card has a well spring of information. Please take note that ALL the information will not apply to your situation. As you read the divination, note the areas where you find yourself experiencing an “emotional response” to what you are reading – these will be the areas you need to pay attention to. If you read something and it makes no sense, or you find yourself saying “what has that to do with anything” simply ignore it – that message was not for you at this time. I hope this information will help you on your journey.